From the famous Musikverein, to the Konzerthaus to the Operas ( State Opera, Volksopera) and Theatres as well as churches ( St.Stephen’s, Charles Church, Peters Church, Hofburg Chapel and many more ) – there are so many venues providing Classical Music events. 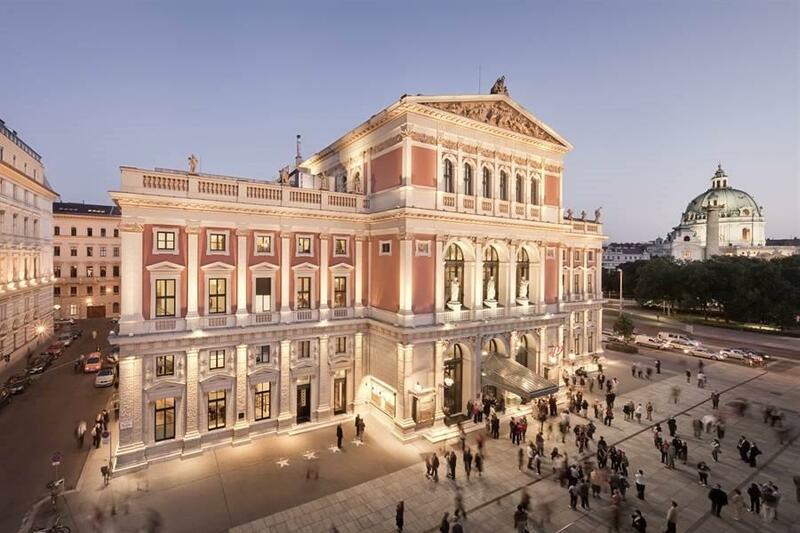 Leading musical ensembles, such as the Philharmonic or the Vienna Boys' Choir, continue to set a first-class tone in the world capital of music. The Vienna State Opera and the Golden Hall of the Musikverein are among the best performance venues in the world. 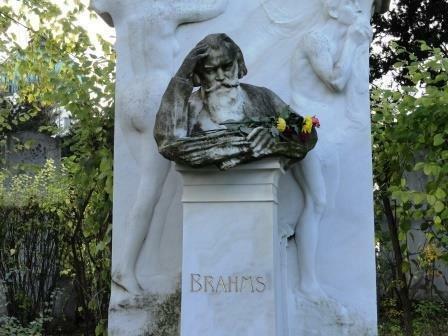 And in no other city have more famous composers lived and worked than in Vienna - including Haydn, Mozart, Beethoven and "Waltz King" Johann Strauss, whose "Wiener Blut" represents the highlight of the annual Summer Night Concert. 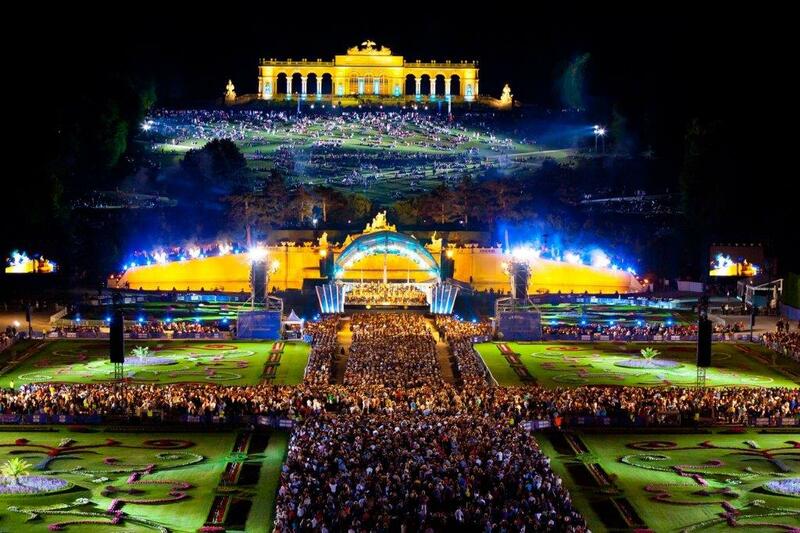 The famous Summer Night Concert by the Vienna Philharmonic is being held under an open sky in front of the magnificent backdrop of Schönbrunn Palace. Over 100,000 attended in 2016 ! And a million watched in on TV because the event was shown by TV stations in a total of 82 countries on all five continents. And at the live public viewings organized by the Vienna Tourist Board in London, Madrid, Monza and Bucharest, a further 14,000 music fans experienced the "Summer Night Concert" in the open air on giant screens. Under the Russian conductor Semyon Bychkov, the renowned Viennese orchestra this time presented an almost exclusively French program, once again underscoring Vienna's importance as a hotspot of the international music scene. They thrill the concert-going public around the world, are described as Vienna’s youngest ambassadors, and make music with world class musicians: the Vienna Boys' Choir. 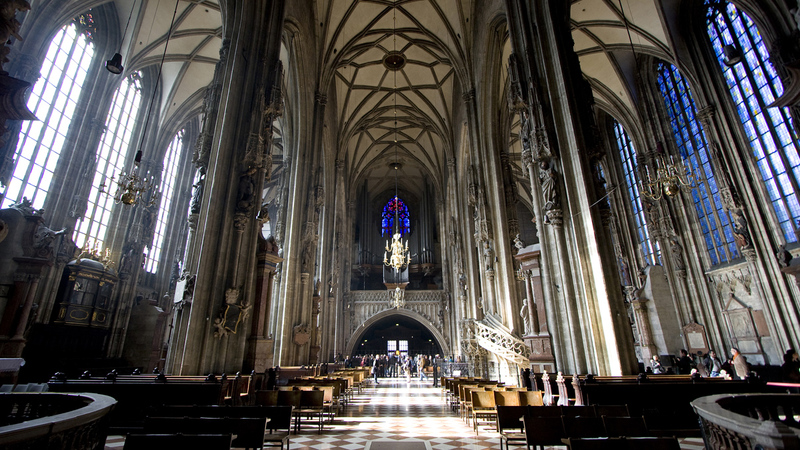 In Vienna, they regularly appear in their own new concert hall "MuTh" and in the Hofburg Chapel. In Vienna, it is often possible to hear the Vienna Boy's Choir: regularly as part of the Vienna Hofmusikkapelle at the Holy Mass in the Hofburg Chapel on Sundays (September to June) and in the MuTh - that's their new concert hall in the Augarten, which opened in 2012. The name MuTh is an abbreviation of "Music and Theater" and its stage is home to daring music and theater productions. - A stage that offers a superb view for the 400 audience members and gives the actors almost as much space as the Vienna State Opera. The MuTh is located right next to the Augartenpalais, where the Vienna Boys learn, live and sing. The new music center is a powerful cultural stimulus in the Augarten. The MuTh builds bridges: Between music and theater, tradition and experiment, great artists and - above all - the next generation. The Vienna Boys' Choir, whose members range in age from kindergarten to high school (including a few girls! 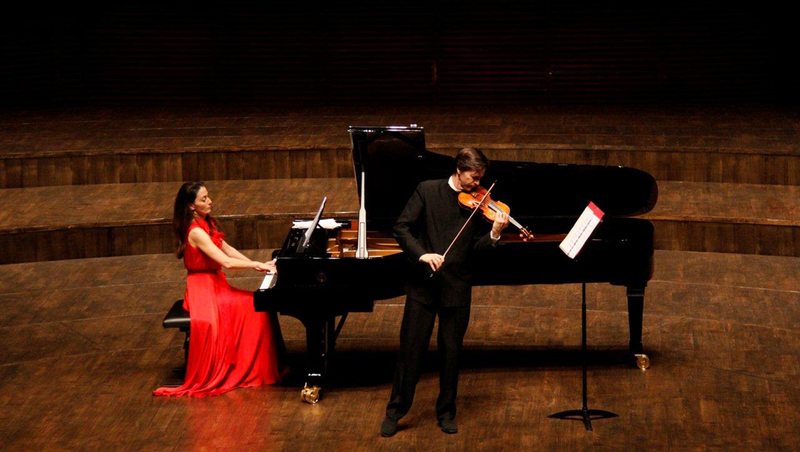 ), presents itself in the MuTh with a classical program ranging from world music and pop to children's opera. 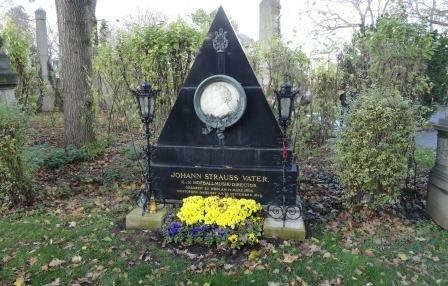 You can also go and visit the final resting places of many of the famous music sons ( Strauss family, Beethoven etc ) of the city at the Zentralfriedhof, Vienna’s man cemetery The cemetery spans 2.5 km2 (620 acres) with over 3 million graves ( second largest in the world , 330,000 interments and up to 25 burials daily. It is also second largest cemetery, after the 4 km2 (990 acres) of Hamburg’s Ohlsdorf Cemetery, largest in Europe by number of interments and area. Viennese joke that the Central Cemetery is "half the size of Zurich, but twice as much fun", (In German: Halb so groß wie Zürich – aber doppelt so lustig ist der Wiener Zentralfriedhof!) as the cemetery is half as large as the city of Zurich. 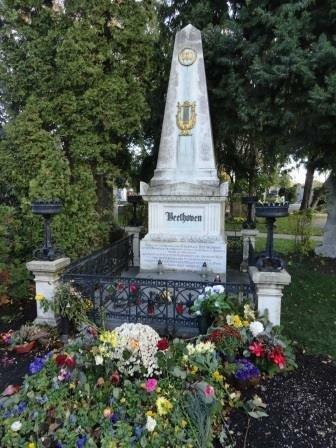 The Central Cemetery has a dead population of almost twice the present living residents of Vienna. In our Classical Music Tour series we return to Vienna in October 2017 and then again for our magnificent Classical Music Cruise on the Danube in 2018. We will have a chance to catch some amazing performances in the city which truly can call itself one of the homes of Classical Music!